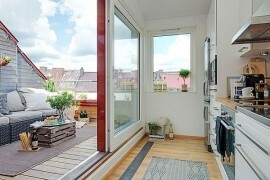 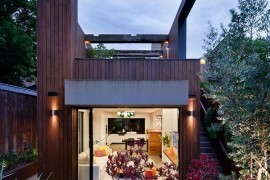 Once in an odd while we come across a home showcasing an outdoor space that’s a touch more appealing than the indoors. 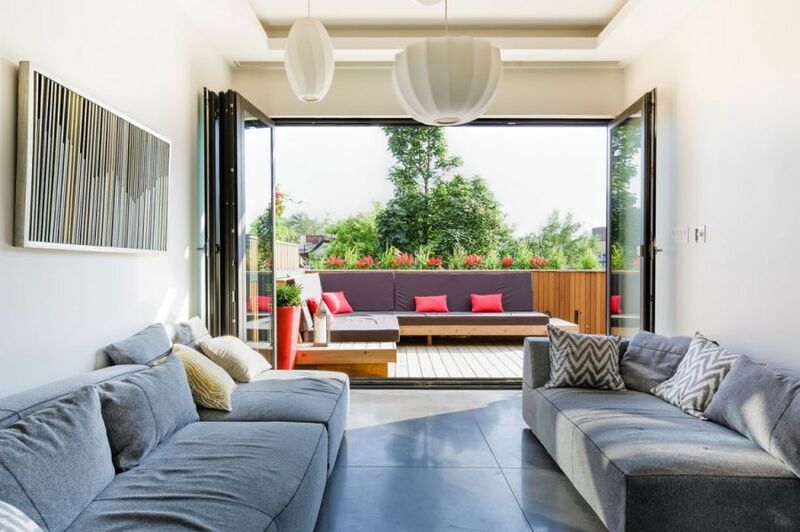 While a serene country side villa with mountain views or a cool beach house with ocean views has the advantage of brilliant landscape, an urban apartment often has a far less appealing view. 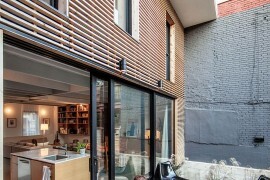 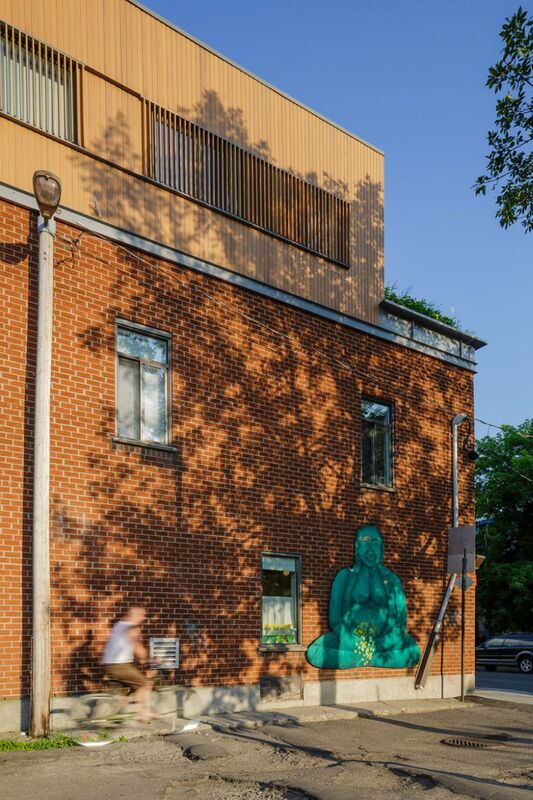 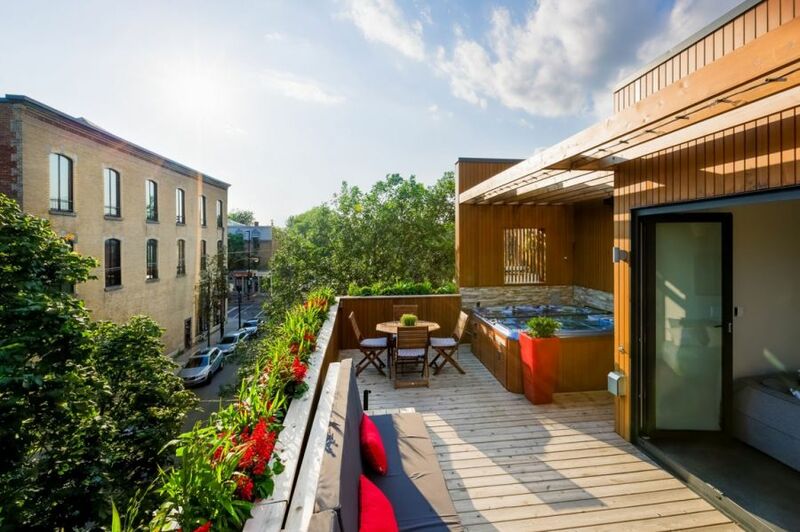 Yet, this trendy two-floor apartment in Montreal utilizes what little outdoor space it’s blessed with to create an exclusive, red cedar-clad terrace. 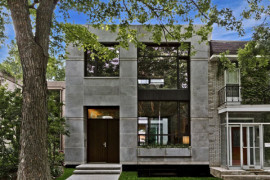 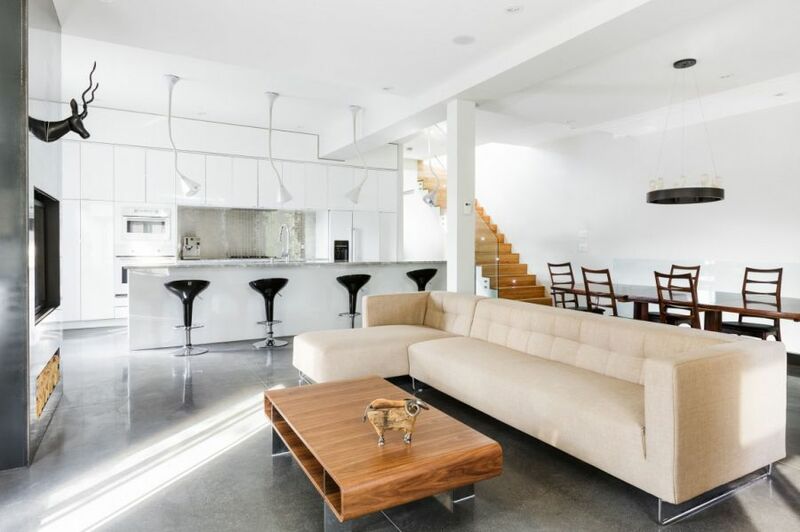 Designed by Mu Architecture, the Mentana Residence sports a suave interior that’s accentuated by the fabulous private terrace. 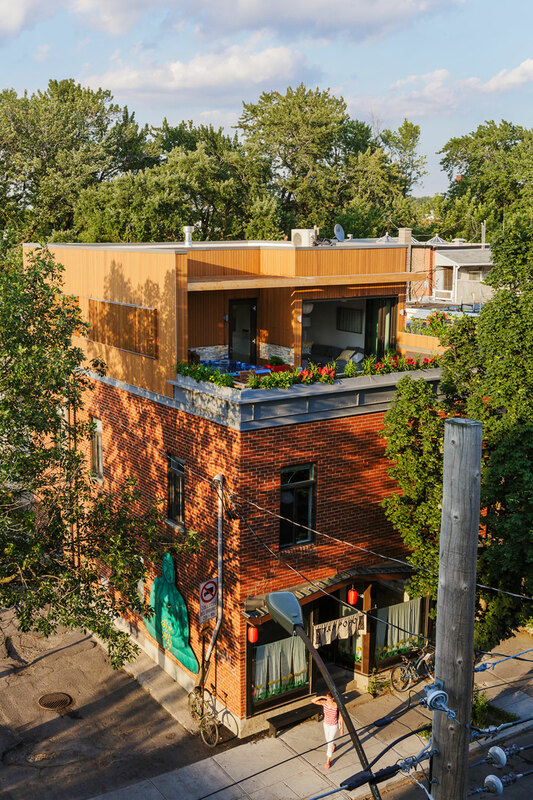 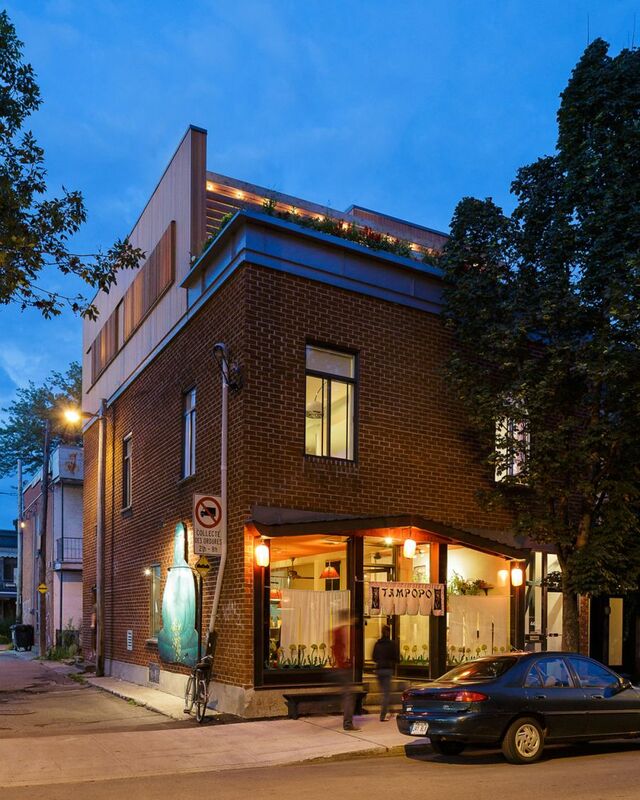 Located just above a popular Asian restaurant in Montreal, the home reflects the talent of designers of who had to work around the structural conundrums that came along with it. 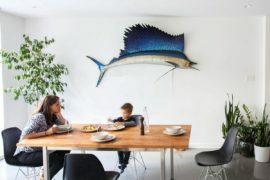 The mechanical ventilation system of the restaurant that passes through the apartment is concealed as a simple storage unit to ensure it does not disturb the aesthetics of the trendy space. 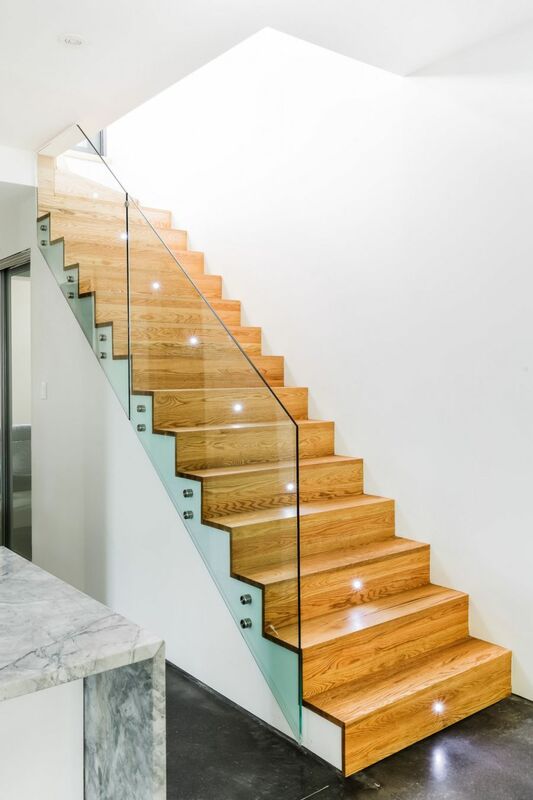 A beautiful wooden staircase leads us to the first level, which sports the living room, the kitchen and the dining area. 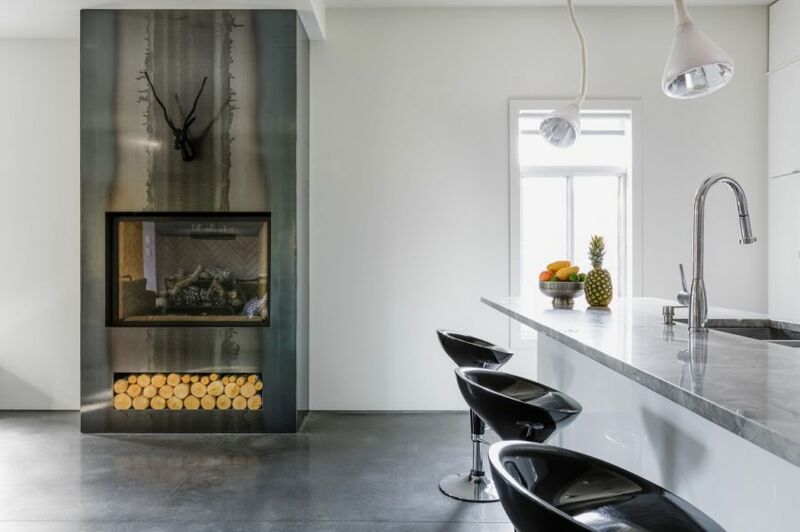 The large, open living area is clad in pristine white with a modern fireplace and kitchen bar stools that add visual contrast to the plush setting. 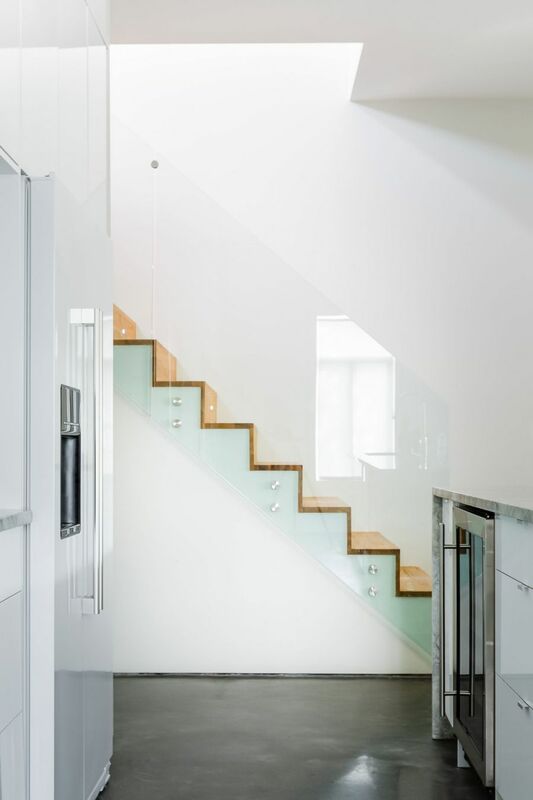 A contemporary stairway flanked by a glass railing leads you to the second level, which houses the private spaces along with a gorgeous terrace. 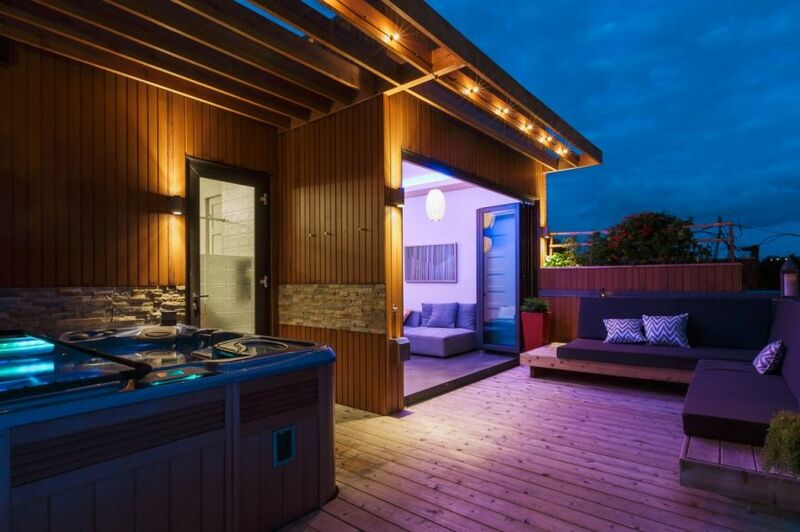 Connected with the master bedroom through a small walk-in area, the terrace features a small dinette, a barbecue space and a relaxing Jacuzzi that is connected to the main bathroom through a sliding glass door. 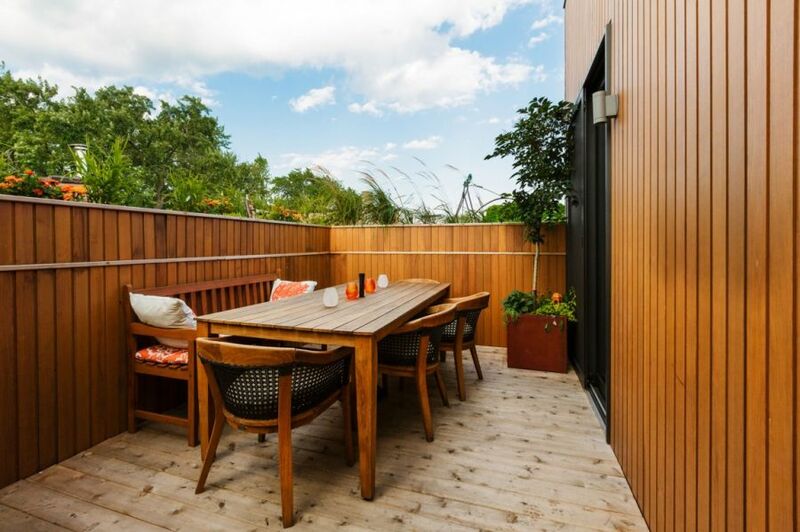 A simple wooden pergola offers shade without ever becoming an intrusion. 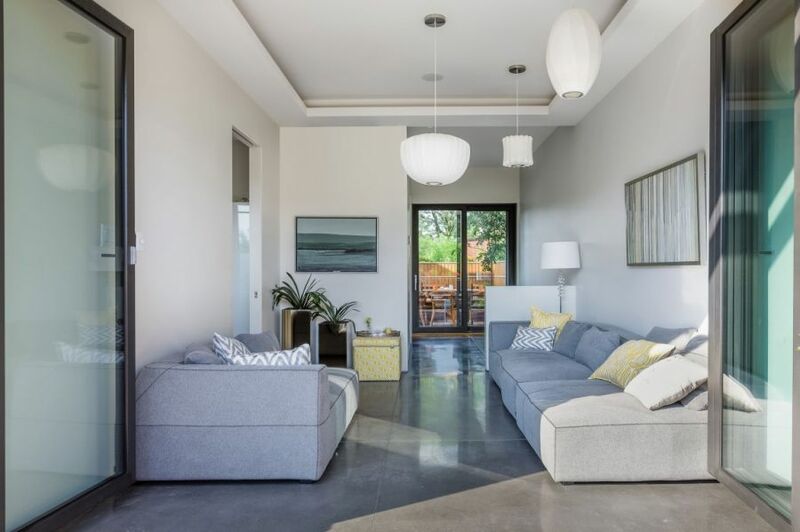 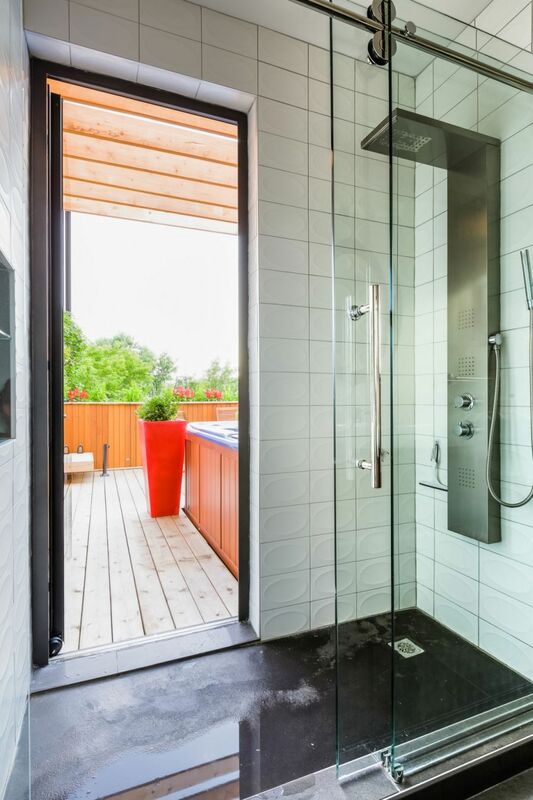 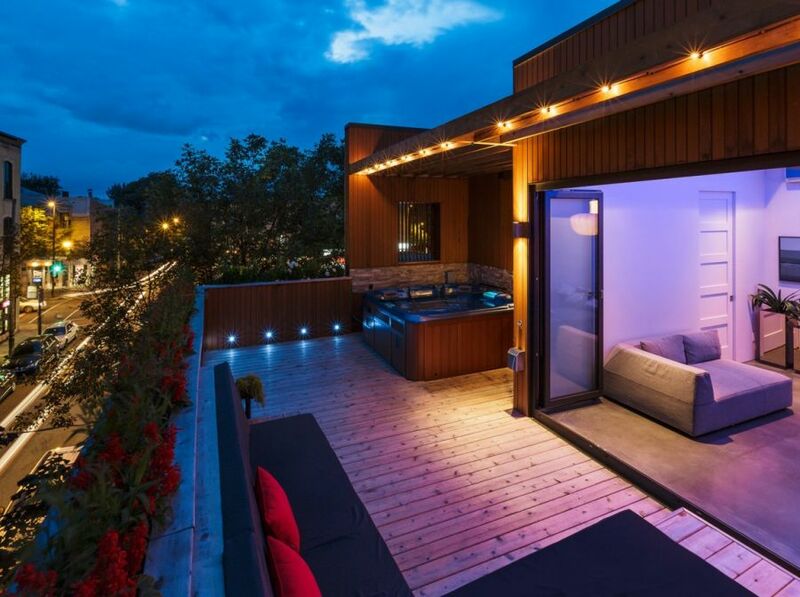 Extending the living space outdoors in an effortless fashion, the private deck area is most definitely the showstopper of this delightful Montreal home.